Not all food in Kyoto is gorgeous kaiseki cuisine. The city has the full range of Japanese food, from sushi to humble noodles, curry rice and burgers. 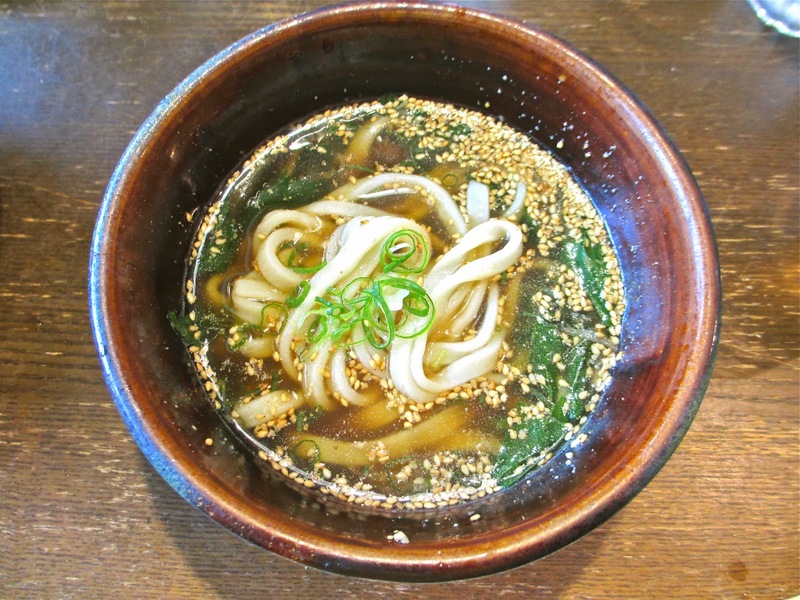 One of our favorite noodle places is Omen, with its main restaurant near the temples in the eastern part of the city and a branch downtown on Shijo-dori. 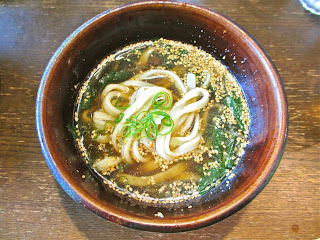 The flat udon noodles are perfect, clean tasting and just slightly al dente. And the broth, to which customers add their own spices (from a choice of four proprietary blends) and freshly ground sesame seeds, is also excellent. The tour went to the charming main restaurant; after the tour J and I went to the Sanjo-dori branch as well. Udon doesn't get much better than this.